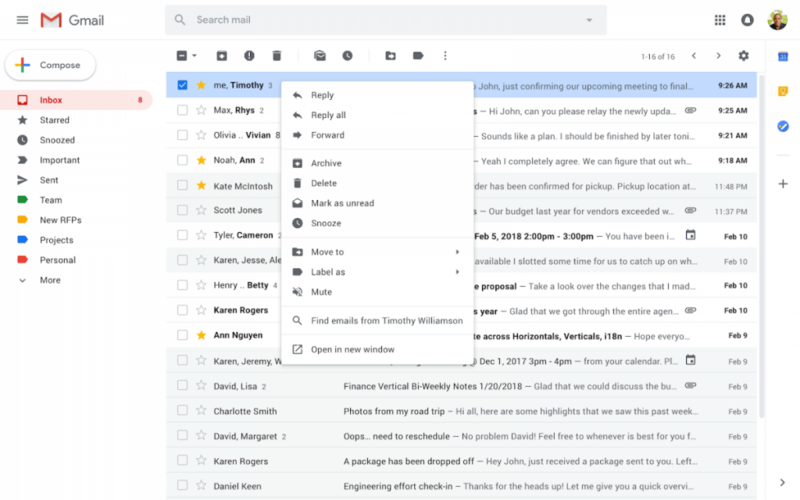 Gmail for desktop began its big redesign back in April 2018, bringing in features like a new sidebar, hover actions, snooze, smart reply, nudges, and a confidential mode. The redesign started off as an optional feature, but Google made it clear that all users would eventually be migrated over to this new redesign. Google is adding in new features to ensure that users find this redesign better than the old Gmail for desktop. Soon, users will be able to access more options through the right-click context menu within Gmail. Currently, users are limited to only a handful of options such as Archive, Delete, and Mark as Unread, when right-clicking on an email. With the new update to Gmail for desktop, users can do a lot more, such as reply, forward, snooze, and mute, as well as search for previous emails from the same sender or with the same subject. 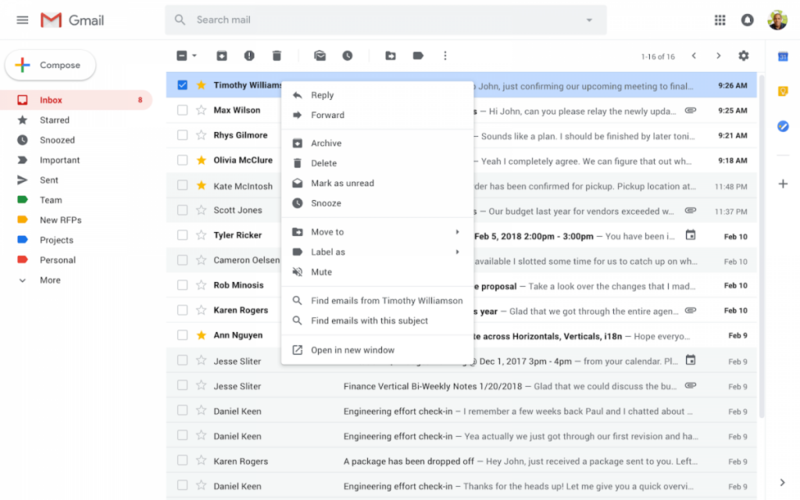 Placing these options within easy reach takes out a few extra steps from the daily workflow of a large number of users, making Gmail much more convenient to use. This new update for Gmail for desktop is currently rolling out to G Suite users. While Google has not specifically mentioned when these features will roll out to general users, we predict it to happen in the coming weeks, as has been the norm.